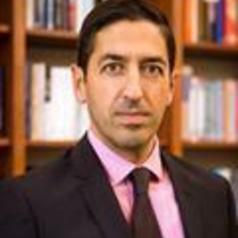 Sandro Galea, a physician and an epidemiologist, is dean and Robert A. Knox Professor at Boston University School of Public Health. He previously held academic and leadership positions at Columbia University, the University of Michigan, and the New York Academy of Medicine. Dr Galea’s scholarship has been at the intersection of social and psychiatric epidemiology with a focus on the behavioral health consequences of trauma, including firearms. He has published more than 700 scientific journal articles, 50 chapters, and 13 books, and his research has been featured extensively in current periodicals and newspapers. His latest book, Healthier: Fifty Thoughts on the Foundations of Population Health was published by Oxford University Press in 2017. Galea holds a medical degree from the University of Toronto and graduate degrees from Harvard University and Columbia University. He also holds an honorary doctorate from the University of Glasgow. Galea was named one of Time magazine’s epidemiology innovators, and has been listed as one of the “World’s Most Influential Scientific Minds”. He is past president of the Society for Epidemiologic Research and of the Interdisciplinary Association for Population Health Science. He is an elected member of the National Academy of Medicine and the American Epidemiological Society. Galea has received several lifetime achievement awards for his research, including the Rema Lapouse Award from the American Public Health Association and the Robert S. Laufer Memorial Award from the International Society for Traumatic Stress Studies. He is a regular contributor to Fortune magazine and has published widely in the lay press, including the Wall Street Journal, Harvard Business Review, the Boston Globe, and The New York Times. His research has been cited by these publications as well as BBC, Slate, WBUR, and NPR, among others.